Gems of India route is yet another Golden Triangle tour package offered by the Maharajas' Express. 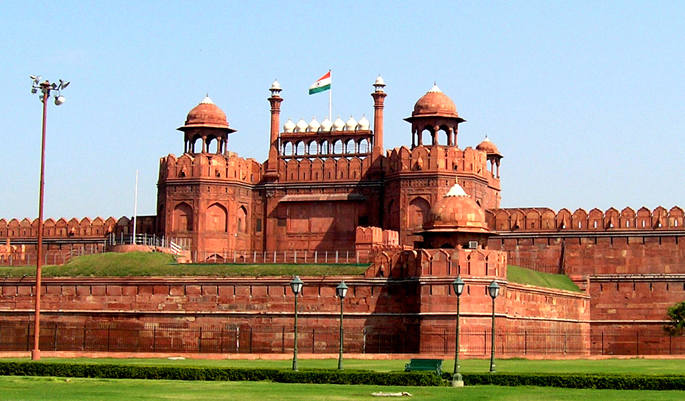 The itinerary takes you to the three of the most fascinating tour destinations in India - Delhi, Jaipur and Agra. Explore the master creations of men along with a dash of wildlife at the Ranthambore National Park. Also included in the Maharaja Express itinerary is the local sightseeing, shopping and optional spa breaks at select destinations. 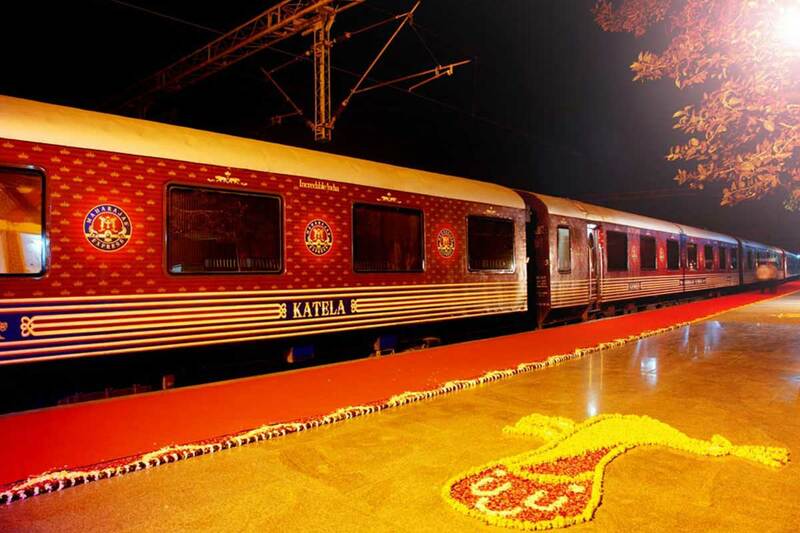 And all this while, live a maharaja life inside India's most luxurious train with elegant décor, gourmet dining, and state of the art amenities adds unparalleled finesse to this royal train journey. Arrive at the Safdarjung Railway Station to begin your Gems of India tour aboard Maharajas' Express train. Early morning on the 2nd day, disembark the train and visit Taj Mahal, the tour de force of Agra and a UNESCO World Heritage Site. A delectable brunch accompanied by Champanage atop Taj Khema overlooking the awe-inspiring Taj Mahal will mark the high point of the day. Later, return to the train for lunch. Post lunch, disembark the train and proceed on your sightseeing tour to Agra Fort. 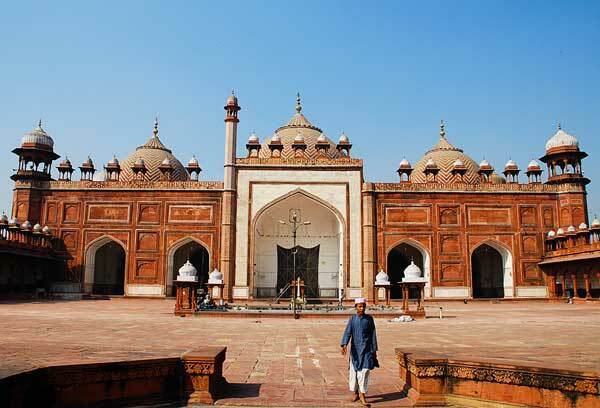 Following the Agra Fort exploration, you can either opt for a shopping tour or local sightseeing tour to Itmad-ud-Daulah tomb and Fatehpur Sikri or enjoy a spa session at a palace hotel. Return to the train or you may watch 'Mohabbat The Taj Show' as an optional activity. Late, return to the train for dinner and overnight stay. The train will head towards its next destination, Ranthambore. 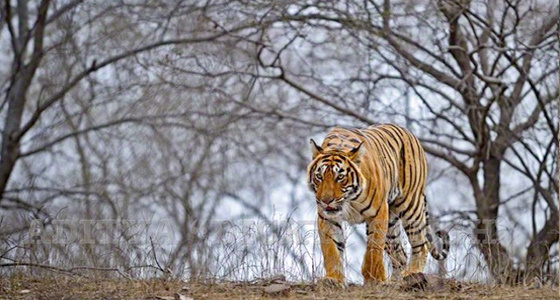 After breakfast, enjoy a thrilling game safari in Ranthambore National Park in the morning. Return to the train for lunch and depart for Jaipur. On reaching Jaipur, disembark the train for sightseeing tour in Jaipur. Visit the Royal Observatory (Jantar Mantar). Optionally, you may also choose activities such as Spa facilities at a Palace hotel, visit to Amer Fort, private shopping tour or a golf session at Rambagh Golf club. Proceed to City Palace/Jai Mahal Palace for an exclusive Elephant Activity where guests may choose to indulge to paint them, feed them or take a joy ride followed by dinner.